The placenta is an amazing organ responsible for growing and sustaining your baby throughout the duration of your pregnancy. They are nutrient-dense organs held in high esteem across the world for their connection to mother and baby, the health benefits they possess and the spiritual beliefs surrounding them. Despite the placenta being respected in many cultures throughout the world, here in the West it is often treated as medical waste and sadly ends up in many hospital incinerators. There are so many options for your placenta. 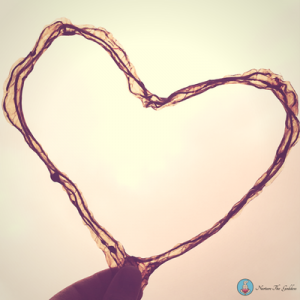 I am passionate about helping you discover which is the right way for YOU to honour yours and your baby’s miraculous placenta. 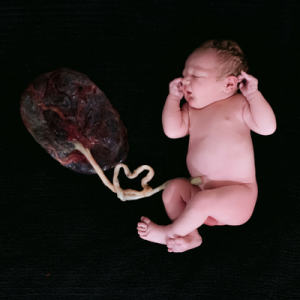 Honouring your placenta can begin at birth by practicing delayed cord clamping. This is where the cord is allowed to stop pulsing before it is clamped and cut or burned. According to the Journal of Cellular and Molecular Medicine “Delayed clamping the umbilical cord for a slightly longer period of time allows more umbilical blood volume to transfer from mother to infant (up to 1/3) and, with that critical period extended, many good physiological “gifts” are transferred through ‘nature’s first stem cell transplant’ occurring at birth.” What a brilliant start for your baby and what a fabulous way to let your placenta finish the job it’s been responsible for doing while your baby has been in utero. 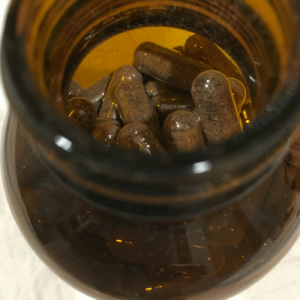 Encapsulation – Your placenta is steamed (for the traditional method only), finely sliced, dehydrated then ground into a fine powder and placed in capsules for consumption. If you are considering encapsulation please ensure you find a trained, verified and trusted provider. The broth from the steaming process can also be ingested or added to cooking. Some people choose to ingest raw pieces of their placenta in smoothies. This can be done immediately after birth, or small pieces can be cut and frozen then added to smoothies in the days following. It is important that you speak with your care provider if you are considering any form of placenta consumption. This is the method of preserving and steeping a piece of the placenta (or dried placenta if it is chosen after encapsulation has occurred) in distilled alcohol over several weeks, after which it is strained and ingested, usually by drops directly on the tongue or into a glass of water. It is said to benefit mothers during times of stress and transition. This has an indefinite shelf life and can be saved to use during weaning if breastfeeding, or even menopause. 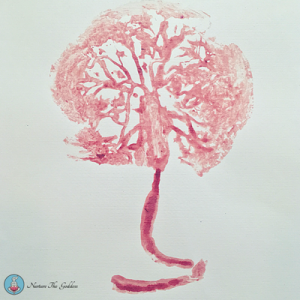 Many different forms of placenta art have been noted throughout history. According to Cornelia Enning “If the baby is lucky enough to be born in the caul (with membranes in tact), the parents will keep a small piece of the amniotic membrane. They stretch the skin to be dried and paint symbols from religion, astronomy and nature onto the parchment like tissue later. In Islamic countries, parents most commonly choose ‘The eye of Fatima’, whereas in Christian countries a picture of the child’s patron saint is very popular.” Robin Lim claims that the tradition of making a dream catcher from the umbilical cord has “roots in Ojibwe and Chippewa Native American history.” Also, according to Enning “Australian Natives make necklaces from the cord for the children, who wear them for protection from disease.” A popular form of placenta art in modern times is a blood print of the fetal side of the placenta, which depicts the ‘tree of life’. Many families choose to have their babies umbilical cord dehydrated and turned into a keepsake. They include them in baby books, keepsake boxes or bury them ceremonially. In many cultures it is tradition to bury the cord as a sign to keep the child grounded throughout their life and ensure they always return home. Lotus birth as defined by Shivam Rachana is “The practice of leaving the baby’s cord uncut after birth, so that baby and placenta remain attached until the cord naturally separates, just as a cut cord does, at 2-10 days after birth.” There are many benefits to having a lotus birth- both physiological and spiritual. You cannot have a full lotus birth and encapsulate your placenta but you can have a ‘modified lotus birth’ and still encapsulate. A modified lotus birth is waiting until the placenta is born before clamping and cutting or burning the cord. 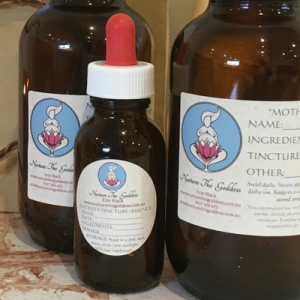 The healing properties of the placenta when applied topically have been noted for centuries. Many cosmetics currently on the market contain sheep placenta, which is labeled as ‘polypeptides’, ‘hyaluronic acid’ and ‘protein hydrolysate’. There are many recipes online to create your own healing salve or body butter incorporating your own dehydrated, powdered placenta. Planting of the placenta and returning it to the earth is very common across many cultures the world over. It represents our relationship with the earth. It is said to ground the baby. Some cultures believe it protects the health of the baby, others believe it brings good luck. Many families choose to bury their child’s placenta under a tree. You can bury your placenta whole or bury the dehydrated powder. Do any of the above options pique your intrigue or resonate? 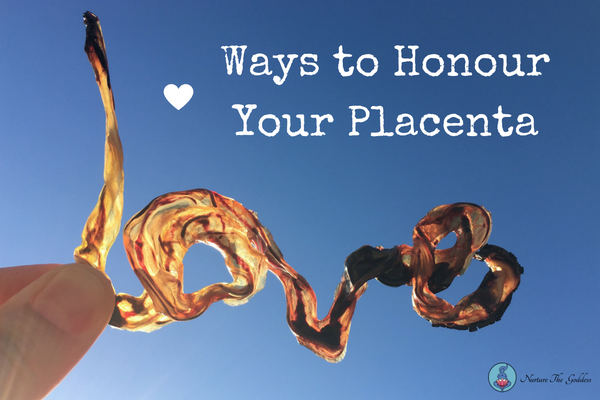 Some people choose a variety of different methods to honour their placenta. I would love to chat about what might work for you and your family. ‘Mankind’s First Natural Stem Cell Transplant’, Journal of Cellular and Molecular Medicine, 2010. Cornelia Enning. Placenta: ‘The Gift of Life’. Eugine, Oregon: Motherbaby Press, 2007. Print.